The video streaming colossus YouTube is launching an official Play Store public beta of the app on Android. 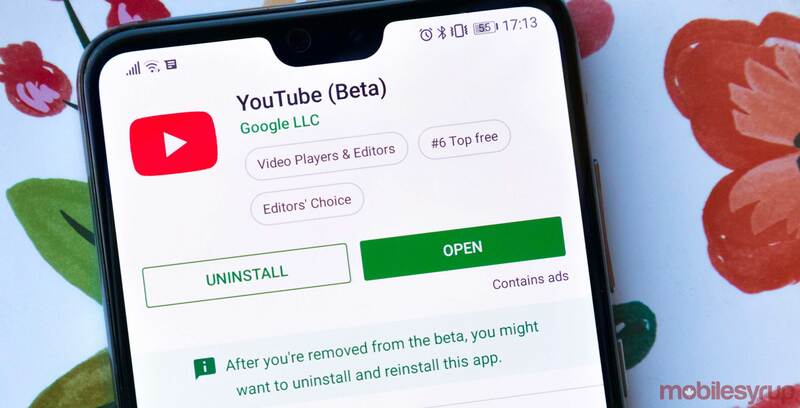 You can join the beta by signing up on the beta’s entry page by clicking ‘become a tester.’ Once the user clicks the button, the page provides a link to the beta version of Youtube in the Play Store. Android Police is skeptical that YouTube will use the beta channel instead of server-side tests like it’s currently doing. For example, Maps has a beta version, but Google mainly does server-side tests for it, making it hard to keep track of the upcoming changes. Currently, the YouTube beta page in the Play Store has the same update notes as the regular version of YouTube for Android, so there doesn’t seem to be an exciting feature that makes this upgrade worth it at the moment. The Play Store page for the beta version of YouTube also has an area for users to submit feedback to the developers, which isn’t in YouTube’s regular Play Store page. The page says that anyone that wants to leave the beta needs to uninstall the ‘testing’ version of YouTube. They can then reinstall the regular version from the Play Store.